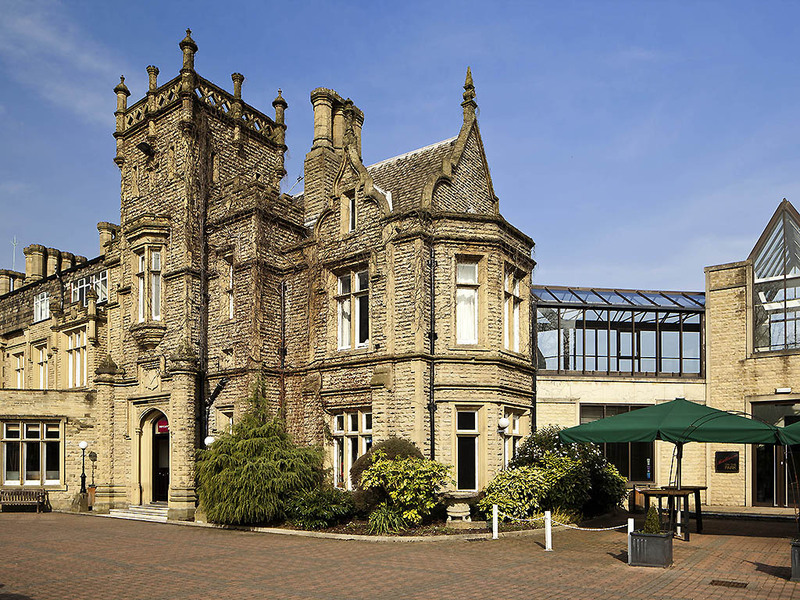 This Bingley hotel is set in Gothic grandeur in the heart of Yorkshire Bronte country. The 3-star Mercure Bradford, Bankfield Hotel is an historic mansion house surrounded by beautiful landscaped gardens just a short stroll from the banks of the River Aire. If you're looking for a comfortable and scenic weekend break, the hotel is perfectly situated for local sightseeing with the famous Haworth & Bronte Parsonage Museum just five miles away. Mercure Bradford North hotel is two miles from Bingley railway station, and a short stroll from the banks of the River Aire. The Haworth & Bronte Parsonage Museum, celebrating the life and work of the Bronte sisters, is just five miles away. All bedrooms feature a flat-screen TV and complimentary high speed WiFi. Rooms at the front of the hotel have garden views and there are interconnecting rooms for families.In privilege and superior rooms you'll enjoy a Nespresso coffee machine, newsp aper, robe and slippers. You can really unwind in The Brasserie. Whether you are meeting for a chat over coffee or looking for an informal bite to eat, this individually styled restaurant offers a wide selection of internationally inspired dishes. The Club bar offers a range of wines, beers, spirits and soft drinks with helpful and experienced bar staff to ensure that you have everything you need. Light meals are available in the bar allowing you to continue relaxing.